The Joint Commission (TJC) defines a Sentinel Event as “a patient safety event (not primarily related to the natural course of the patient’s illness or underlying condition) that reaches a patient and results in any of the following: death, permanent harm, or severe temporary harm and intervention required to sustain life.” TJC adopted a Sentinel Event Policy in 1996 in an effort to assist hospitals in voluntarily reporting, evaluating and reducing risk, and preventing patient harm. 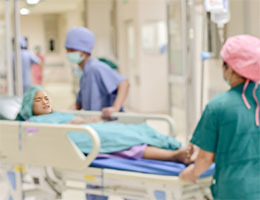 The term “never event” was first described in 2001 by Dr. Kenneth Kizer of The National Quality Forum (NQF) in reference to significant adverse medical errors that should never have taken place. The NQF currently uses this term when referring to serious reportable events deemed preventable. Whatever you choose to call these, they are simply events that really should not happen. Unprecedented maternal mortality and morbidity rates nationwide have pushed healthcare providers and obstetric experts to closely examine all areas of perinatal and obstetric health. Specifically, the postpartum period is a time of heightened patient vulnerability and is fraught with maternal risk. Sixty-one percent of pregnancy-related deaths occur in the postpartum period, making it potentially more hazardous to a woman’s health than the actual pregnancy itself. 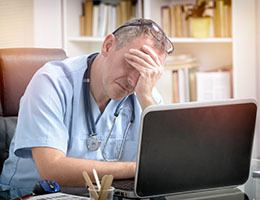 With the concept of physician burnout taking center stage, questions have arisen regarding the factors affecting it, either positively or negatively. One particular factor that has been the topic of research is the use of electronic medical records (EMRs), specifically the link, if any, between EMRs and physician burnout. I recently reviewed the bare-bones of what EMTALA is and highlighted recent studies of EMTALA investigations. In this installment, I have summarized nine recently settled EMTALA cases in which monetary penalties were levied by OIG against the hospital that serve to illustrate the factors responsible for alleged violations. EMTALA violations can be a costly lesson for both healthcare providers and organizations. 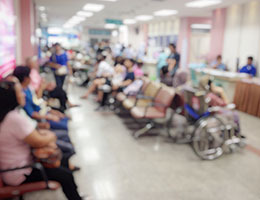 EMTALA is an acronym for the “Emergency Medical Treatment and Labor Act.” This statute was enacted in 1986 for the original purpose of preventing dumping – the practice of refusing service to patients in the emergency department for financial reasons. The final EMTALA statute now extends beyond this initial noble goal and prohibits discrimination against ED patients for any reason. After reading the case with perspective on how to recognize secondary postpartum hemorrhage, it's critical to understand why it occurs and how to treat it. Why does secondary PPH occur? The normal physiologic changes associated with pregnancy are the perfect predisposition for an unrecognized hemorrhage. Typically, pregnant women are young and healthy with increases in circulating blood volume and hormonal and vascular changes specific to pregnancy. All of this creates the perfect environment for hemorrhage. Your postpartum patient was not complaining. Her vital signs were stable. She had experienced a prolonged labor, but to your knowledge, her vaginal delivery the previous day went well. Her recovery seemed to be progressing nicely. The morning report did not reveal that she was at any risk. 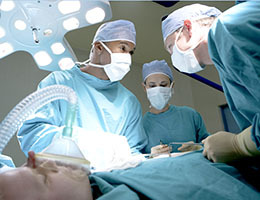 Surgery Malpractice: Are Surgeons More Prone to Complaints? 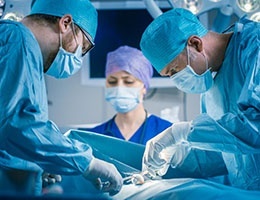 Among physicians, surgeons are at increased medicolegal risk compared to non-surgeons; they also have more medical liability claims and claims paid per year. Jena et al.1 found that the probability of facing a claim varied from 15.3% in general surgery to only 5.2% in family general practice. In a recent review of National Practitioner Data Bank (NPDB) records, Schaffer et al.2 noted that the number of paid claims per 1,000 physician years was 30.0 for general surgeons and only 7.1 for internal medicine. 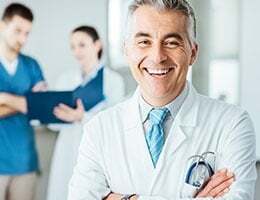 Although there are a number of factors responsible for this wide variation, the correlation between the physician-patient relationship and the risk of a malpractice claim is well established. 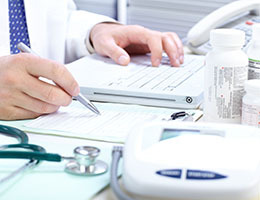 The development of tools and resources to guide the busy practitioner in prescription decision-making is a welcome trend in healthcare, particularly when the information is instantly available from valuable sources, including Prescription Drug Monitoring Programs and the patient’s medication history. 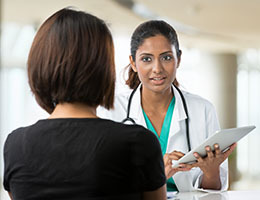 As outlined recently by Ms. Caldwell on the MEDHOST blog, marrying these resources into the prescription functionality of an EHR is a key component in the effort to combat the opioid crisis. We've featured a variety of topics, cases, and missed diagnoses on our blog this year, and we hope that you've found the content useful and relevant. In case you missed some of 2018's most popular posts, here are the top 10 articles from the blog this year, according to our website visitor statistics. Which article is most valuable to you?